Torrenting is a favorite way for downloading large files including streaming stuff, and that’s mainly because of the feasibility it provides to the users. However, the process could become hassling and complicated with a wrong torrent client. Therefore, you need to find a proper torrent downloader before moving to download a torrent file. What is a Torrent Client? A torrent client or torrent downloader turns your PC into a part of swarm where the data is shared through both, downloading and uploading. 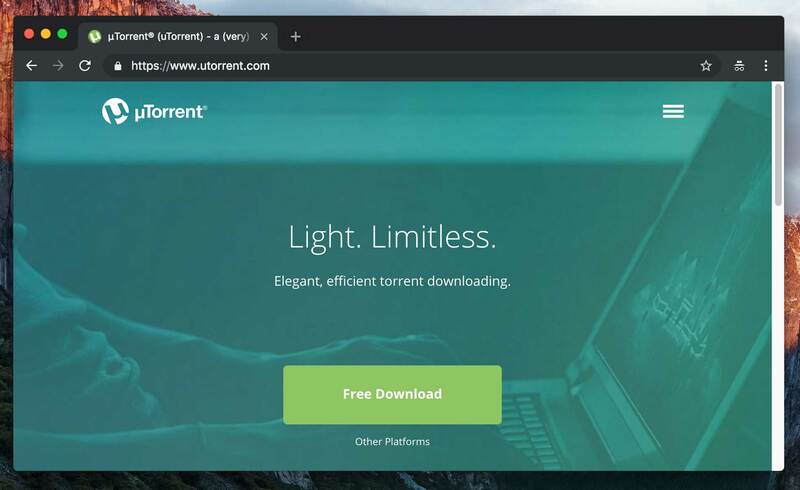 Torrent client primarily uses the BitTorrent protocol to download files and to establish peer-to-peer communication service. In simpler words, it allows the sharing of torrent files in between all the globally connected peers powered by the same protocol. The users – who are downloading or have downloaded the same file – are connectedNo tracker exchange functionality allowsand the same time a user is downloading as well as uploading or helping others to download that file. In result, the process of large file download becomes more efficient and quick. The torrent client also helps to assemble the bits and pieces of the torrent file downloaded from different torrents. You can read the article on “how torrenting works” to understand the torrenting process more deeply. BitTorrent is the most popular and the oldest torrent client which, has improved its efficiency over time. There are more advanced and useful functions in it. The BitTorrent client has clean and easy to navigate user interface along with the web-based seeding, commenting and reviewing. 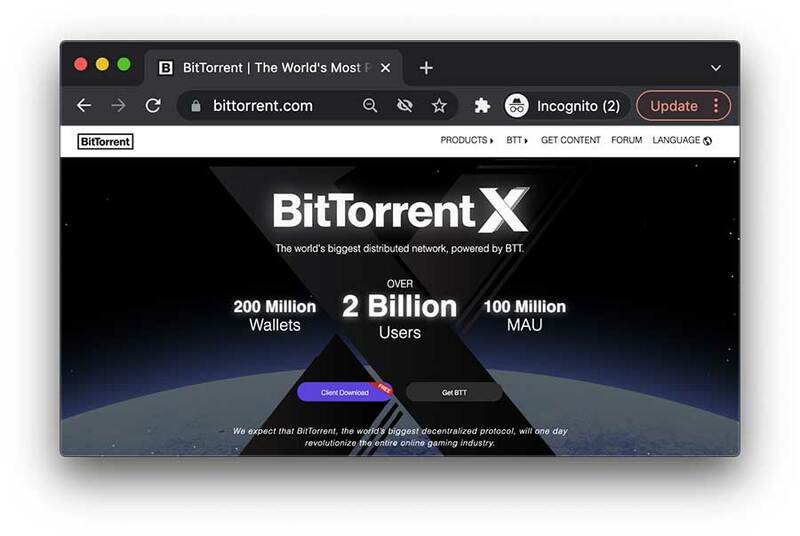 BitTorrent updated version also parts up torrent files according to their categories and provides more technical details as compared to other torrent clients. Not just this but there are more perks of using BitTorrent making it the best torrent client. It offers download scheduler, limit bandwidth user, paired devices and more in BitTorrent preference windows. Basically, BitTorrent is free torrent software, but it offers a Pro version with some additional features. For instance, the pro version provides removal of advertisement and support for an internal HD media. There are also some disadvantages of using BitTorrent client for torrenting. There is no tracker exchange functionality that allows torrent peers to exchange information related to trackers of a given torrent file. It also ensures that the file is downloaded from the optical source. Also, the BitTorrent doesn’t publically display the source code which is a way to authenticate security and privacy features implementation. qBitTorrent is a lightweight torrent client which is also a free, ad-less and open source torrent downloader. I have listed it at second, but some torrents prefer it over BitTorrent taking it as the best torrent client. Unlike BitTorrent, the qBitTorrent takes up less space and is also free from advertisements which are a paid feature in BitTorrent. The torrent software encircles all the vital and necessary features a more torrenters is looking for. qBitTorrent has BitTorrent protocol encryption, torrent prioritization, torrent querying, torrent creation, remote access, RSS subscription, and particular content download. Despite having advanced features, qBitTorrent displays everything in a simple and clear way of leaving behind little chances of getting confused. qBitTorrent is licensed under GPL, and its source code is accessible on the GitHub. This feature increases the privacy and security trust for qBitTorrent. There are a couple of cons for qBitTorrent which are not that serious, but users have reported the issues. For instance, sometimes the torrent downloads stop, showing the ‘stalled’ state. Most of the time this problem gets normal by itself, but occasionally the fix is to uninstall the qBitTorrent and reinstall it. uTorrent is a little or lightweight alternative of BitTorrent which is maintained by BitTorrent itself. It is the most used torrent client and is around since 2005.
uTorrent has almost the same features as BitTorrent, but it barely weights over 1 MB. This feature makes it a fast torrent downloader, however, the built-in search engine also pace up the torrent finding process. It is portable torrent software that could be run without needing installation as it stores all the files and settings in the same folder. You can put it on an external storage device such as USB and can run it directly from it. Apart from all these advantages, there are some security risks linked with uTorrent. Recently, it was discovered that the uTorrent is liable to hacker access that can control main functions of the client and can monitor user downloads. However, BitTorrent had released a patch for the vulnerability. Similar to BitTorrent, uTorrent is also ad-supported and doesn’t have the publically available source code. 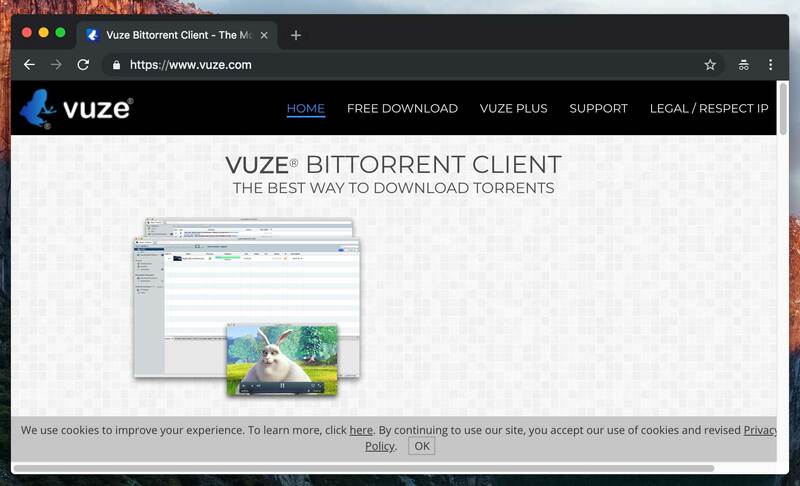 Vuze is an efficient torrent client, and it claims to be the most powerful of all the best torrent clients on the earth. Vuze offers loads of features, and merely there is any left. It is also an old torrent downloader as reflected by its interface but it comes with a built-in web and metasearch tools. There is a massive list of Vuze perks for users including swarm merging, I2P support via a plugin, specialized plugins that could increase Vuze’s efficacy, easily customizable torrent tracker list, built-in video player, built-in virus protection, and many more features. It could also be bind to a VPN that means you can set it only to run when a VPN is connected. However, Vuze includes ads which could only be removed when you pay for the pro version. Also, it is a heavy app that could make your internet a bit lagging. Besides the heavy desktop client, the Vuze mobile app is lightweight and ad-free too. Alongside, it offers bandwidth limiting, IP filtering and almost all the features you can expect from the best torrent client. Transmission is also open source torrent downloader software along with being ad-free at absolutely no price. Unlike most of the best torrent clients, Transmission is lightweight with a very straightforward design. It has the advanced option too but they have not been messed up at the front, and they are just tucked away from the sight. It is pre-installed in Linux OS system where the user can start downloading torrent in almost no time. The transmission offers web seed support, BitTorrent protocol encryption, watch directories, tracker editing, global and per-torrent speed limits, etc. Besides the advantages, there are some prominent lackings in this torrent software. For instance, there isn’t any built-in search engine, no proxy server support and no, sequential downloading. But the Transmission client has features such as UDP tracker, µTP data transfer protocol support, auto-updating, Web seeding, local peer discovery, and many more. Deluge is a torrent client capable of encrypting traffic via Message Stream Encryption (MSE/PE) to increase privacy. With this feature, Deluge could be considered as the best torrent client that restricts third-party tracking and its side effects such as ISP throttling. Deluge is open source software weighing under 15MB. Also, it’s free without the intrusive ad display. There isn’t a very long list of features in Deluge; however, the functionality could be extended through downloading a range of both in-house and third-party plugins. Deluge offers remote web management and support for magnet links. It is compatible with uTorrent, and you can download both, uTorrent and Deluge on any supported OS. Using P2P onion routing and working on the principles of Tor, the Tribler is one of the compatible choices any more torrent wants to opt. A unique feature of Tribler that distinguishes it from other best torrent clients is the video which you can watch while downloading a torrent file. Also, there is a built-in search engine and no ad display at zero cost. To provide anonymity to its users, Tribler cuts their direct link from BitTorrent swarm through placing three daisy-chained proxy servers in between. However, the cons of Tribler include lack of super seeding which allows the torrent downloaders to become uploaders quickly. Also, there is no NAT traversal support and local peer discovery. Tixiati is prominently popular due to its high customizability and powerful features. Unlike most of the torrent clients, Tixati provides a lot of information and detailed statistics such as information about peers, pieces, files, trackers, etc. It offers pop-up tips, helpful hints, and tutorials for optimizing settings. It is a free torrent downloader with sequential downloading feature an ad-free interface. Users can easily and quickly download Tixati because of its small size which also helps it to work fast. However, the absence of source code and built-in search engine are among some of the lackings of Tixati.